1 kraft paper of 180 GSM (22 BF), 1 kraft paper of 150 GSM (22 BF) and 1 semi kraft (Agro) paper in 120 GSM (20 BF). 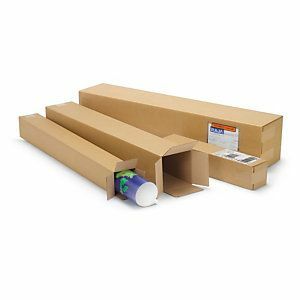 Not all goods we want to deliver can fit in cubical packaging boxes, sometimes the shape of the item is different and thus, they require boxes that can accommodate them perfectly. Items that are long, thin or rounded need a box of that shape too and that's where our long square boxes come into play. They are perfectly made to pack medium or large round items. A lot of products are shaped such that they need long square boxes to pack them. 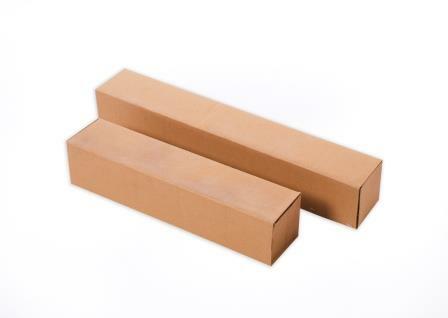 We offer the best quality long square boxes that you need for packing long objects like a tube, rolls, rods, etc. They are light in weight, looks visually attractive and are completely reusable. You can use them as many times as you want and be efficient with your packaging as well as save your money. It is among one of the lowest costing packaging options which you can avail for a variety of different applications. We also provide you the telescopic versions of these boxes which give you the flexibility to adjust the boxes to its maximum length. So you can adjust the size of the box according to what goes inside it. You can pack goods such as lamps, cricket bats, rods, long brushes, brooms or possibly any other object of that shape in these long square boxes. We give you great customization options with all out products and you can leave an enquiry for different box shapes, sizes or any other customizations you want. Branding plays an important role in packaging materials too and you can get your brand name printed on your boxes for additional marketing. 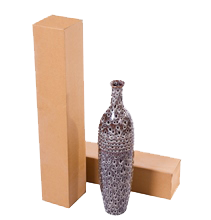 There is no better place than DCGpac to buy the best quality long square boxes online. They have just the right amount of space to accommodate your goods. We provide these boxes at low and wholesale prices so you can order them from DCGpac and save your money. Order them now to get them quickly delivered at your doorstep. Cannot find the right box for you? Check our complete range of corrugated and cardboard boxes.